Low Mileage, 17" Alloy Wheels, Steering Wheel Audio Controls, Air Conditioning, Front Fog Lights, Electric Front Windows, Electric Memory Seats, Front Heated Seats, Front Cup Holders, Vanity Mirrors, 12v Auxiliary Power Socket, Electric Roof, Full Leather, Remote Central Locking, Locking Wheel Nuts, 2 x Keys with Car., 24 Month Guarantee Available., Complementary Accident Assist., Flexible Finance Options Available., Part Exchange taken as Full Deposit., Physical Car Available for Viewing Today., Other Models Available., Ask For A Test Drive Today. 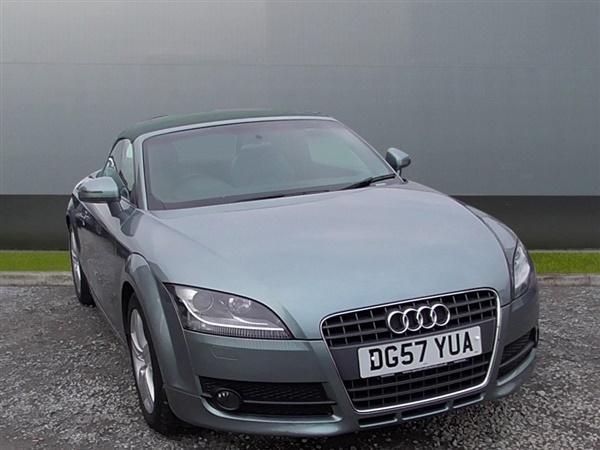 This advert is for an Audi TT, click Audi TT in Plymouth to see more cars like this in the local area. Want to search further afield? Click Audi TT in Devon to search for similar cars in the wider Devon area.